It is a common question when trying to figure out if you are ready to take the plunge into home ownership: "What mortgage amount do I qualify for?" While lenders will tell you the amount you qualify for based on your creditworthiness and income, it is important to remember that the amount you qualify for may not be the amount you should accept for a mortgage loan. Each lender sets their own limits and has the ability to decide what amount borrowers are qualified for, which means that you may find higher approval amounts for certain mortgage lenders over others. Lenders who intend to package mortgage loans in bundles and sell them to other entities must adhere to the regulations set by those purchasing organizations, but lenders who do not resell their mortgage loans are at more liberty to approve mortgage loans on a case-by-case basis. These are the lenders who may offer a higher amount of money to approved borrowers, even if other lenders have said these amounts were not possible. Loans that are guaranteed come with amount limits that are not featured with other mortgage loans. Examples of guaranteed loans include mortgages backed by the Federal Housing Administration (FHA) or the Department of Veterans Affairs (VA). Although these mortgages are not issued by these organizations, they are guaranteed so if the home loan ever goes into foreclosure, the mortgage will still be paid off. While these guaranteed mortgage loans can be a great way for borrowers to get approved for a mortgage, particularly first time home buyers, these loans come with limits on the amount of money that can be borrowed. If you qualify for a mortgage loan of $300,000 based on your credit history and income but your mortgage loan is guaranteed by FHA with a limit of $271,050 for the area you want to purchase the home in, the maximum mortgage amount you will get approved for is $271,050. Keep these limits in mind when utilizing a mortgage guarantee from these or other guaranteeing agencies. Contact your preferred mortgage lender to find out how much money you qualify to borrow for a mortgage loan. It is likely that the lender will walk you through a process called prequalification, which involves asking you about your income compared to your debts, but generally does not include a review of your credit report. 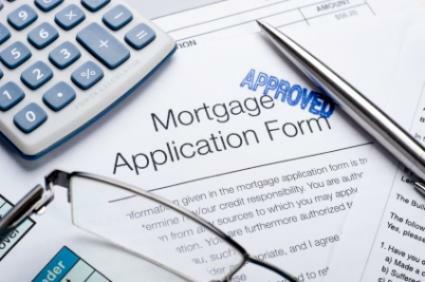 Prequalification does not approve you for a mortgage, but is more like a guideline to give you a general idea to the answer of "What mortgage amount do I qualify for?" If you prefer to run through this process on your own, consider using one of the prequalification calculators available online. These tools will give you a general idea of how much you may qualify for when applying for a mortgage. Be prepared to answer questions about your income (from all sources), your monthly debt obligations, and any information you already have regarding the home you want to purchase. Both BankRate and the commercial website FHA.com offer these calculators free of charge. Remember that just because a lender is willing to lend you a certain amount, it does not mean that you can afford a mortgage of that size. Before accepting any loan, figure out what your monthly payments will be and decide if you can afford this financial obligation.